A popular snack or dessert in the Philippines, polvoron made it possible for a couple to become self-made millionaires. Joel and Marissa Yala were blue collar workers who moved from Surigao del Sur to Laguna. By giving the popular Pinoy dessert a one-of-a-kind twist, the two were able to taste sweetness in success. The Yalas were at the grocery when the million-peso business idea came up. 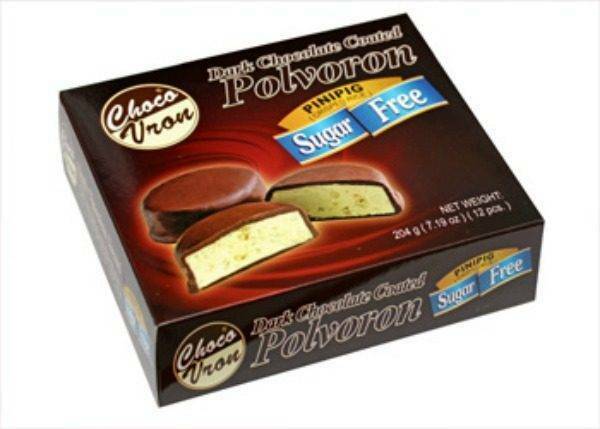 According to Joel, their successful polvoron business ChocoVron was actually inspired by several coated food products that they noticed in the grocery. Using a capital of P500, the couple, who had no background in the food industry, tried their luck in creating and selling chocolate-coated polvoron. From that small capital, the Yalas were able to come up with 10 packs of polvoron which they sold for P200 each. Joel, who was employed at that time,took the opportunity to sell the unique food products at the office. “Pagpasok ko sa trabaho, kinalat ko sa locker ko para makita ng mga kasamahan ko. Sabi nila, ‘Ano po ‘yan kuya?’ Sabi ko polvoron, nagulat sila kasi iba ang kulay,” Joel recounted. The first batch was instantly sold out giving the couple P1,500 earnings. Aside from chocolate, the couple also came up with new flavors including durian, cookies and cream, ampalaya and malunggay. They have also introduced sugar-free pinipig in dark chocolate and the NutriVron Stevia polvoron to cater to the health conscious as well as polvoron sticks and coconut cream bars. Nowadays, they are manufacturing 3,500 packs of polvoron from their factory in San Pedro, Laguna. Joel advises aspiring businessmen to be creative and innovative. “Kailangan creative ka sa negosyo, hindi ‘yung mag-imitate ka lang. Kailangan ikaw ang nauna,” he said.